The Melanesian Spearhead Group (MSG) is considering full membership in the United Liberation Movement for West Papua. MSG, an intergovernmental organization, seeks to promote economic growth in Melanesian countries and is composed of the four Melanesian states of Fiji, Papua New Guinea, the Solomon Islands and Vanuatu, as well as the Kanak and Socialist National Liberation Front of New Caledonia. Vanuatu and the Solomon Islands have repeatedly shown support for West Papua’s independence movement. Indonesia, recognized as an associate member of the MSG, strongly opposes this consideration because it regards West Papua as an integral part of its territory. The Melanesian Spearhead Group (MSG) is considering full membership by the United Liberation Movement for West Papua. 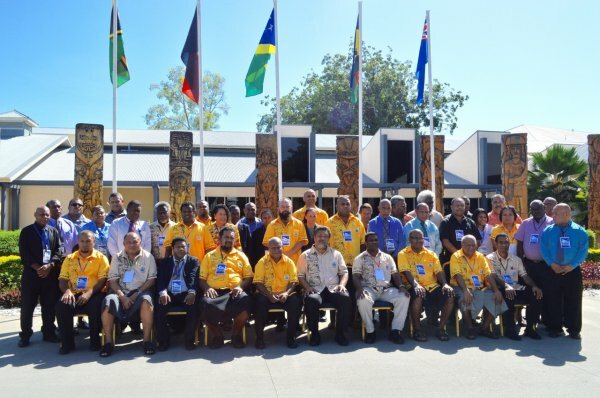 Foreign Ministers of the MSG member countries met in Port Vila last week to discuss [January 2017] guidelines which relate to the bid by West Papua for membership in the group. Solomon Island’s foreign minister, Milner Tozaka, said the MSG leaders in July  requested legal clarification on guidelines for membership. Mr Tozaka confirmed that there won’t be a decision on the Liberation Movement’s application however he did say that they already have observer status.